Monitor your national, regional, and local search engine positions for any keyword! Whether your website has already been getting high positions in search results or has just begun reaching the top of the SERP, you should always know where it is in the SERP. The Position Tracking tool allows you to track your website’s ranking for target keywords in the Google top 100 organic and paid results. Daily updated data shows you how your optimization efforts help your keyword rankings progress in paid and organic search over time. You can also keep track of competitors’ keyword rankings. A side-by-side comparison of your rankings versus your competitors’ points out search terms you need to focus on more. You can add up to ten competitive domains in your tracking campaigns, but SEMrush will show you even more! If you offer services or products in different cities or countries, or if your website is localized, you could rank for thousands of keywords. With our tool, you can create multilingual tracking campaigns for any location you’d like. When targeting customers in a particular city or town, local SEO strategies are key. In this case, search results on a national level don’t help to estimate your web presence. You need to filter down to location-specific data. Luckily, the SEMrush Position Tracking tool does this easily for you. Products and services are not searched for with the same keywords in different cities and countries. Your online competitors change their strategies from location to location as well. Do you always know who you are competing with for local search results? Competitive landscape is constantly changing, and you should never focus only on your strongest competitors and underestimate new market arrivals. While creating a tracking campaign with SEMrush, you can add up to ten competitive domains. Based on the location that you choose for your tracking campaign, the Competitors Discovery feature will show you which local competitors are ranking in Google’s top 100 results for the same keywords that you are targeting. That way, you will be aware of more websites that are driving traffic away from your website. By discovering local competitors, you will spot new keyword opportunities and be able to adapt your organic content strategy quickly! How can you avoid becoming lost in the thousands of search terms you are tracking? The keyword grouping feature of the Position Tracking tool allows to easily manage thousands of search terms. You can group them by specific words or brand names. You can also add the same keyword to different groups. Each keyword can have up to five tags. We all live in a multi-screen world. Every day, your prospective and existing customers use multiple devices to access the Internet. They can view your website on their smartphones while they are on their way to the office, on their desktops when they are at work, or on their tablets while they are travelling or relaxing at home. 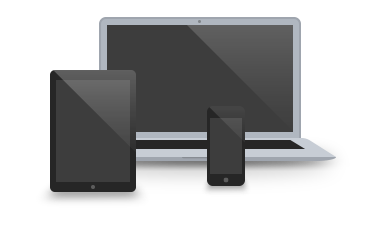 Do you know which device is working best for your website? While creating tracking campaigns with the SEMrush Position Tracking tool, you can select whether statistics will be collected from desktops, tablets, or smartphones. You’ll also be able to view and compare your own positions in desktop and mobile index on the same graph. By viewing keyword rankings from a specific device, you will be able to better understand your website’s performance on the multi-device market, adjust device targeting and bid settings of your AdWords or Bing Ads campaigns in favor of more effective channels, and revise your organic content strategy.